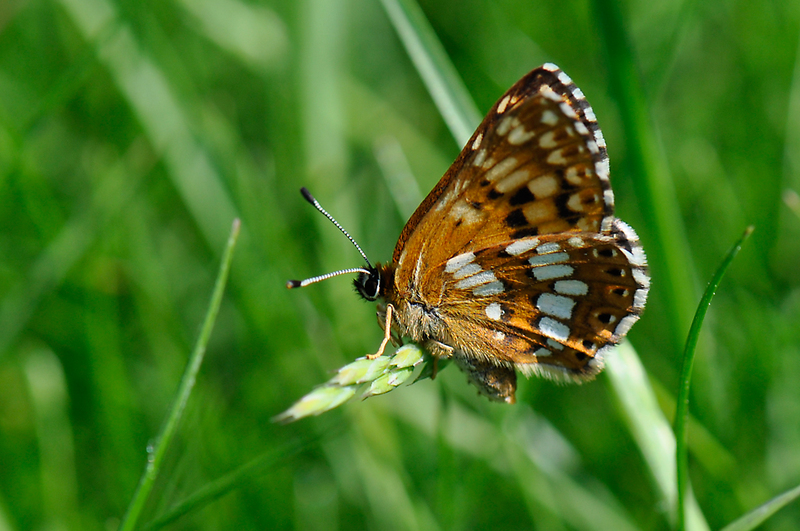 Last April I saw my first ever Duke of Burgundy Hamearis lucina, or at least I’m pretty sure I did. To be fair all I saw was a fleeting flash of brown and orange. But then I was in the right place, ancient chalk downland, at roughly the right time, so I was reasonably confident, even for a novice. Just over a year later, armed with two weeks’ leave and a new macro lens I was determined to do better. I’d read that the adults prefer mornings so I was out of bed and up on Morgans Hill before the dew had evaporated. My only concern was that the very wet April we’d just endured may have proved too much for them. With so few seen last year I was beginning to fear the worst. After about 4 visits with no luck I met Andy, a more experienced butterfly enthusiast, who very generously tipped me off about a place he’d visited earlier that very day where he’d seen loads of Dukes. He even drew me a map. As it happened it wasn’t that far from where I live, but he was keen that I keep it’s whereabouts to myself. As I was leaving the reserve a small brown and white butterfly caught my eye. It kept its wings closed which for me made identification tricky. I managed to get close enough to take a few shots and decided to consult my Richard Lewington guidebook later. Imagine my embarrassment when I realised it was a Duke of Burgundy. See photo above. I was a little sceptical about Andy’s site, particularly in regard to the quantity. 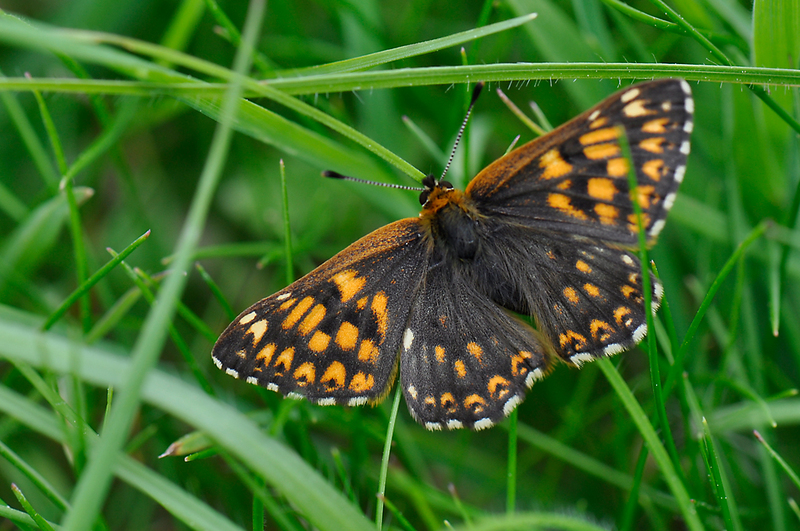 The Duke of Burgundy is possibly our rarest butterfly and is in serious decline. It’s now pretty much confined to scattered colonies across southern England, typically in very low numbers. But… when I visited the next day and walked right to the top of the cowslip covered hill and the bramble patch as instructed, it was exactly as he described. I saw one Duke after another – most of which were freshly emerged and thus in superb condition. I won’t say how many I saw as you probably won’t believe me, but there were a lot. Mostly males, sunning themselves with wings wide open. I saw eleven on just one small patch of bramble. This inevitably led to quite a bit of fighting over territory and more than once as I was about to release the shutter, my subject was chased off by a more ardent model. They really were everywhere, happily dogfighting right up into the clear blue sky. It really was a sight to gladden the heart. The location was very pretty too and the local pub did a cracking ploughman’s lunch. Thanks Andy, your secret is safe with me.